Do you receive the Pell Grant and want to study abroad? If so, there is good news! 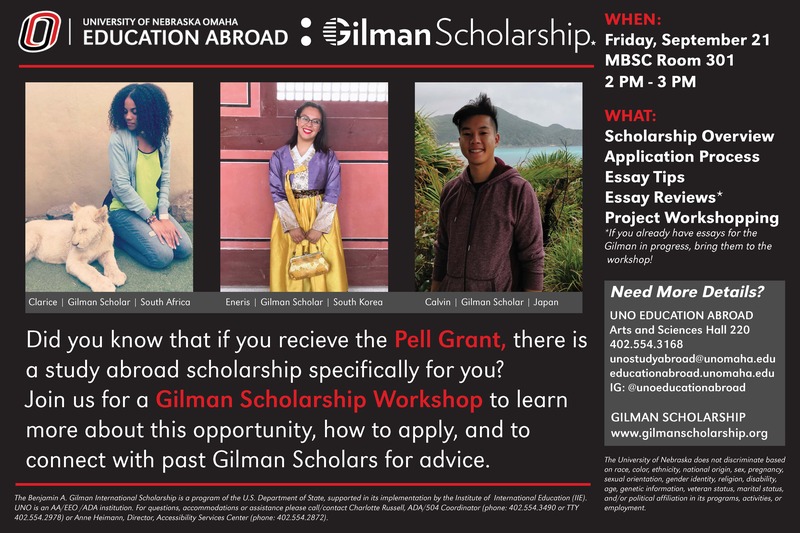 The Gilman Scholarship is an opportunity for Pell-eligible students to receive additional funding to study abroad. 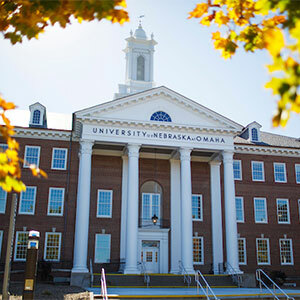 To learn more about this scholarship, join the UNO Education Abroad Office and past Gilman Scholarship Recipients for a workshop on Friday, September 21st. We’ll look at how the scholarship and application process works, essay tips and reviews, and brainstorming ideas for your application. Students thinking about studying abroad this upcoming spring and summer are particularly encouraged to join us! Do you want to study abroad? Get in touch today to speak with our awesome peer advisors and learn more about education abroad options and funding opportunities.